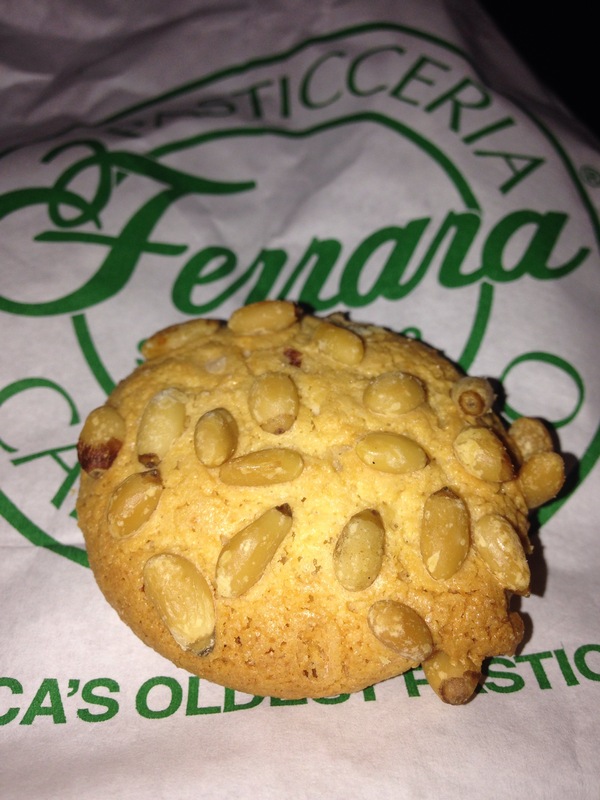 Ferrara’s Pignoli Cookies | That Yum Factor! Whether you like movies, Cher, or Italian cuisine, I would definitely stick to pignoli cookies. Pignoli cookies are a delicacy if you enjoy light, almond-flavored treats. The outside is nice and crispy but my favorite part is the soft almond paste that you find on the inside. Posted in Manhattan - NY and tagged Little Italy on January 12, 2015 by thatyumfactor.